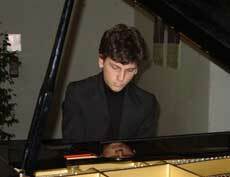 The Leonardo da Vinci Italian language school, together with renowned music schools in Italy, offer ITALIAN LANGUAGE AND MUSIC COURSES IN ITALY. 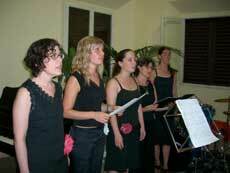 Read about our differing programmes to learn Italian and discover or practice music in Italy. Instruments: Piano, Violin, Viola, Cello, Double bass, Flute, Piccolo, Clarinet, Oboe, Bassoon, Trumpet, Trombone, Saxophone, Horn, Guitar, Drums, Electric guitar, Electric bass. All students have to bring their own instruments with them; only Piano and Drums are available at school. 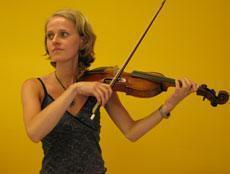 The Instrument courses consist of 5 lessons of private tuition.. 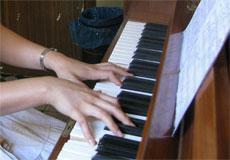 The Instrument courses with coaching consist of 5 lessons of private tuition plus 2 lessons accompanied on the piano. 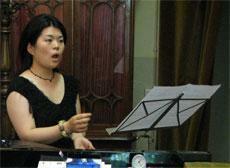 The Canto and Diction for Singers course consists of 5 lessons of private tuition in singing. 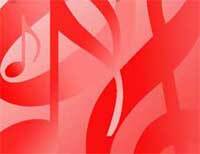 The Canto and Diction for Singers course with coaching consists of 5 lessons of private tuition in singing plus 2 lessons accompanied on the piano. The courses also concentrate on improving Italian diction. Description: The Language of the Libretti course has a duration of two weeks and consists of four lessons in a intensive language course plus two private tutorials on the professional field of the language of the Opera, each day. An intermediate knowledge of Italian is recommended for those attending this course. Duration: 4, 12 or 36 weeks. 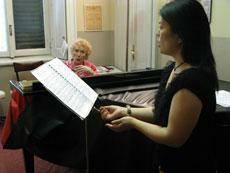 "I came to Italy for studying opera singing. So I learned singing and Italian. I learned Italian in Leonardo da Vinci school and I learned more about pronunciation than grammar, because it is very important for singing. After the lessons I went to music school right away. I liked my teacher, he’s famous. How lucky I was!"